Etude is the first brand that I tried for my eyebrows. The shade that I always use is Number 1 - Rich Brown. It is the shade closest to my eyebrows. My hair is black but sometimes dark brown when I have my hair dyed. There are various shades to choose from that is why I will share to you the swatches of all colors. 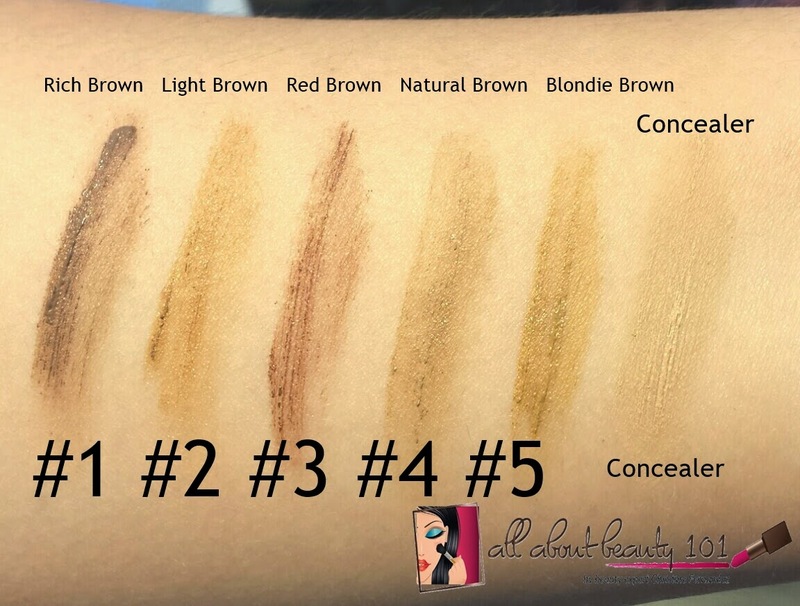 There are 5 shades you can choose from and the newest in line is the Concealer. According to Etude, you can use it first to fill in the sparse areas before you apply your desired brow mascara. A tube of this 4.5g eyebrow mascara costs 378php in Etude stores. 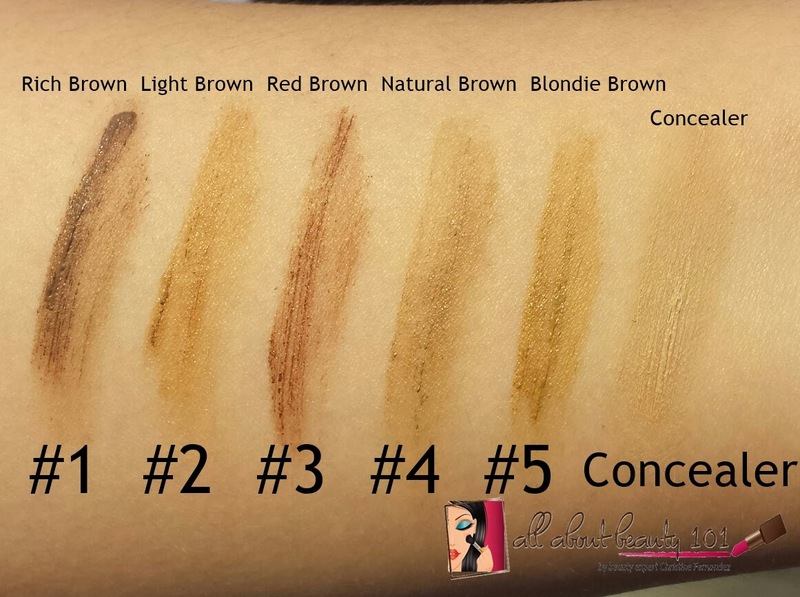 To read a full review about the shade #1, click my link here: Etude Rich Brown. I also have swatches of Fashion 21 eyebrow mascaras with the link here: Fashion 21 Eyebrow Mascaras. To know more about Etude, you can go to their website here: Etude House Philippines. To follow updates on Etude, like their Facebook page here: Etude in Facebook.